I’m no graphic designer or image manipulation pro. I mean, I know my way around Photoshop well enough to smudge out a birthmark or to create a graphic for a Macworld story, but I’m not a power user. That’s why I’ve long preferred to leave Photoshop sitting silently in my Applications folder, while Flying Meat’s Acorn takes up residence in my Dock. At its traditional price of $50, Acorn has never aimed to be a Photoshop replacement. Instead, it’s a Photoshop alternative. The developer describes the app as an image editor “built for humans,” and that description fits. Though Photoshop offers far more features, Acorn is no slouch: It supports layers, masks, alphas, and multistop gradients; it can import and export files in PSD (Photoshop) format; and it’s fully optimized for Retina displays, too. Acorn's new shape tools include a customizable arrow. With the release of Acorn 4, the app gains nondestructive filters; faster and smoother drawing tools; new shapes like curves, arrows, and stars; and some 150 other performance improvements and added features. These additions have the interesting, double-faceted effect of making the app both impressively more powerful and decidedly simpler for folks like me. Acorn’s interface gets an overhaul in version 4. No longer are the drawing and editing tools coupled in a squat palette with their options, your layers, and everything else. Instead, there’s a narrow palette with drawing tools, a separate one with tool options and layers, and, of course, a stand-alone canvas. Acorn's new interface uses separate palettes for tools and options. Though the previous all-in-one palette was more compact, this new approach in Acorn 4 makes a lot of sense. It’s easier to organize, and everything actually shows more than it used to: Where Acorn 3.x showed just one selection tool (upon which you had to tap and hold to choose a different selection shape), the taller tools palette in Acorn 4 shows four different selection options at all times. Quicker access to those options, and to tools like Smudge and Dodge—all without the click-and-hold requirement—saves a lot of time. That’s helpful. Some other new Acorn features also have palettes, including the aforementioned nondestructive filters, which we’ll get to in a minute. The result is that you can customize Acorn’s layout to your liking, and arrange the various palettes just so. The new shape tools available—the arrow, star, and curve tools—all work well, with nice customization options. The nondestructive filters—along with the ability to adjust those filters right on the canvas—make simple work of using Acorn's effects. While Acorn 3.x introduced the ability to assign visual effects as Layer Styles, Acorn 4 further simplifies adding such effects to layers with nondestructive filters. 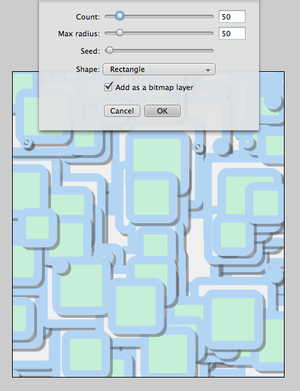 When you add effects to a layer, a new Filters nonmodal window appears. You can chain effects together, but continue to tweak their settings and remove all or part of them as desired, even after saving your file. The shape generator tool is pretty fun to use. That essentially means you have infinite undo for your filters. What’s more, adjusting filter effects is easier in Acorn 4 than ever before: You can click and drag on the canvas to adjust filters and effects, instead of needing to adjust the sometimes arcane settings directly. For example, when applying a Depth of Field filter, you can click and drag specific points around the canvas to control where and how that affect is applied. 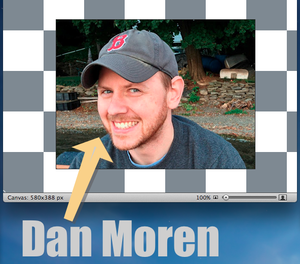 When you want to lock down filter effects, you can flatten them. Acorn 4 also gains a new, fun shapes generator. You can insert random smatterings of circles, rectangles, or hexagons. Oddly, though, you access the shapes generator only from the Shapes menu, and the generator doesn’t behave like a traditional generator filter with the nondestructive editing options those filters have. 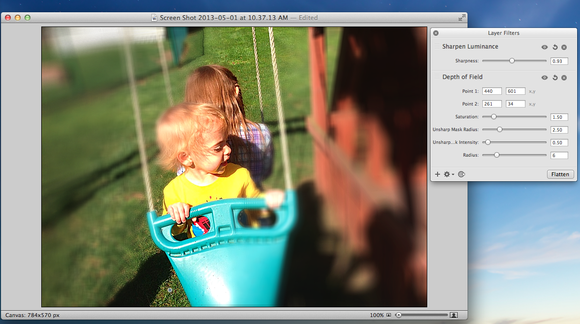 Acorn 4 also gains some new options for adjusting your images’ levels and curves. 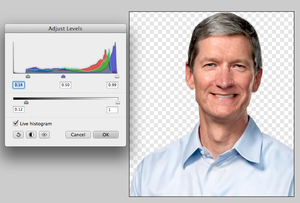 When adjusting levels, you can optionally see a live histogram for your image. That levels tool also gains a midtone (gamma) slider. The new curves tool offers serious tonal control over red, green, and blue levels in your image. Pros will know precisely what to do with those tools. Those like me will muck about with them half-randomly, seeing when our images look better or worse. The tools should work for both sets of users. 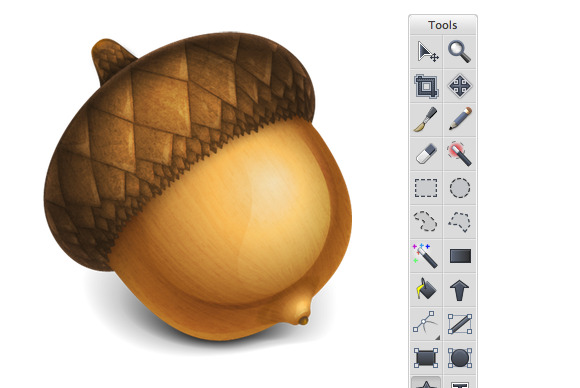 Acorn 4 is on sale for $30 both at Flying Meat’s website and the Mac App Store for all of May. After that, the app will return to its normal $50 price. A free trial is available, too. Acorn is a very, very good image editor, and has become a part of my daily workflow for Macworld, along with my photo editor of choice when we’re going to print some digital shots. 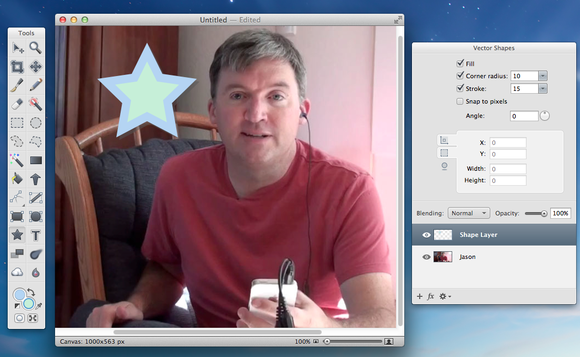 Acorn 4 makes marked improvements to the app’s feature set and usability alike. The new filter options and layout are excellent additions. The app’s permanent residence in my Dock is a testament to its powerful editing options and its impressive ease of use. With its its powerful editing options and impressive ease of use, Acorn 4 is the image editor "for the rest of us" and deserves a home on your Mac's Dock.